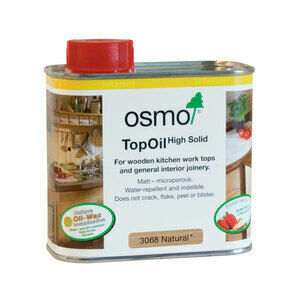 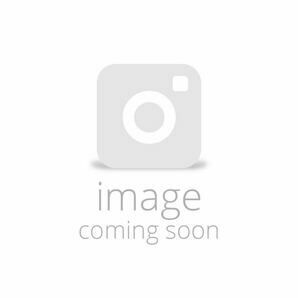 Osmo top oil is designed for use on wooden kitchen worktops and other interior joinery. 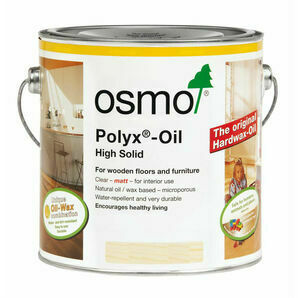 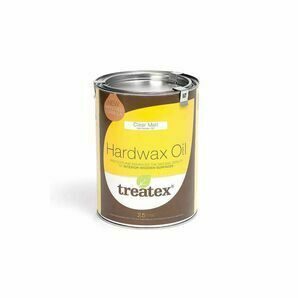 Based on the original polyx-oil this oil is extremely tough and hardwearing. 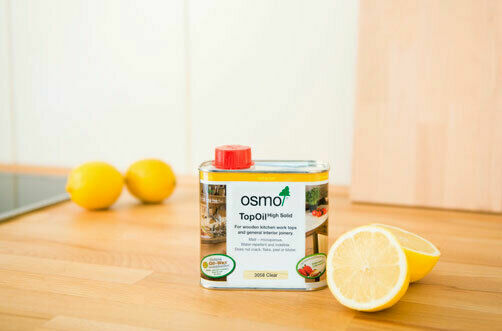 It is water repellant and resistant to wine, beer, coffee, cola, fruit juices and milk. 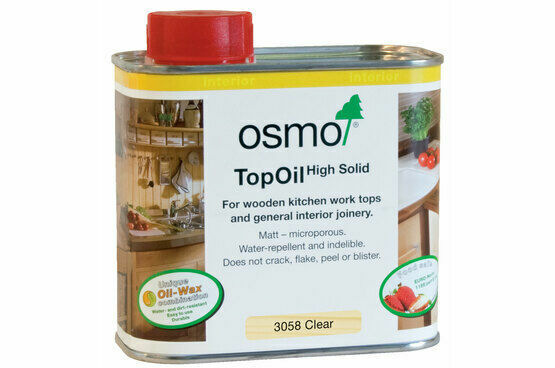 The matt finish on this oil enhances the natural beauty of the wood with a sheen free look. 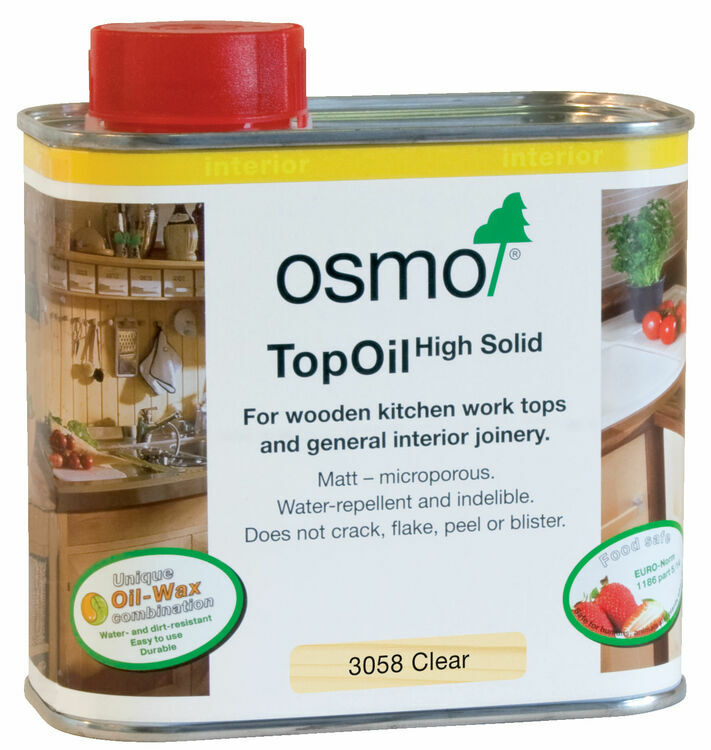 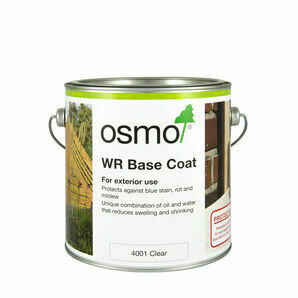 When using on worktops, or in damp environments such as bathrooms, we recommend an initial coat of Osmo 4006 wood protector for extra protection against moisture.